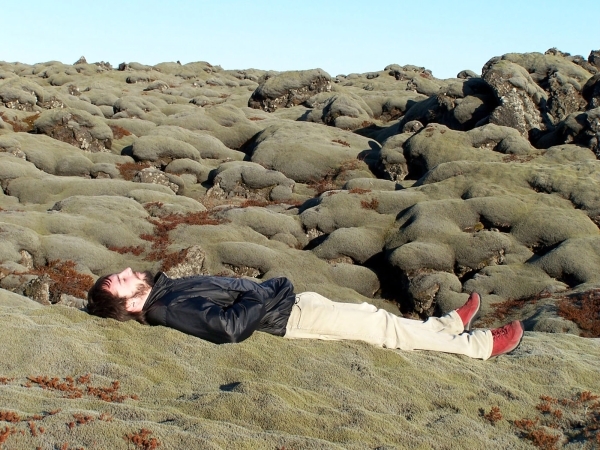 I spent a considerable amount of time in Iceland for work and pleasure. Occasionally, I get requests for tips on things people should do once they're there. Here are a few suggestions. Apart from a few important items, I'll try to keep the standards out; you can find those anywhere. Go visit the pools where ever you go! They are wonderful to just hang out and deeply ingrained into culture. It's a place to socialize! Restaurants (like many other things) are expensive, make your own food. However, tipping is not necessary. Outside of bars, alcohol is only sold in government owned liquor stores with strict hours. So, plan ahead. While in Reykjavik, I'd recommend to stay in a guest house rather than a hotel. These are usually privately run, nice and quiet places. You can find reasonably priced accommodation downtown on guesthouses.is or other travel sites. These exist all over the country. Note: Take your shoes off at the door! Reykjavik is an amazing place full of art, music, and a truly excessive night life. Note that alcohol is sold in government owned liquor stores (vinbudin), which have strict hours. Bars, of course, sell alcohol too, but it's expensive. Most of the action happens on Laugavegur in downtown. A good place to learn to learn about concerts, galleries etc. is Reykjavik Grapevine; free paper versions used to be distributed while I was there. I don't know if they still do paper. Other places are local record stores; one of my favorites was 12 tonar. Have fun exploring! While I certainly used to enjoy the big city life of the small town, I enjoyed being outside of Reykjavik much more. 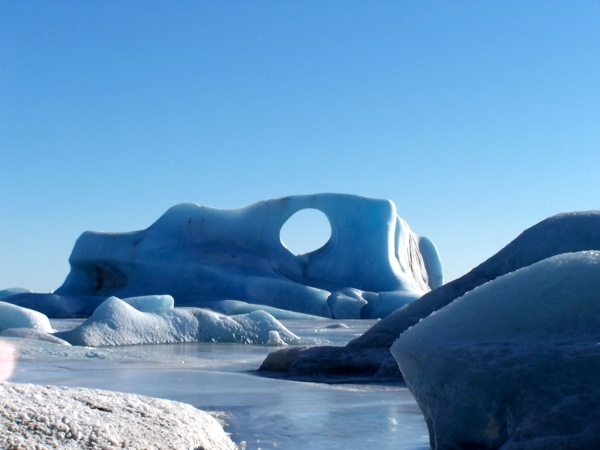 There are lots of standard tours that are being offered (The Golden Circle, Whale Watching). You can learn about these pretty much everywhere (it's a touristy place). What I am writing up here are some of my favorites. 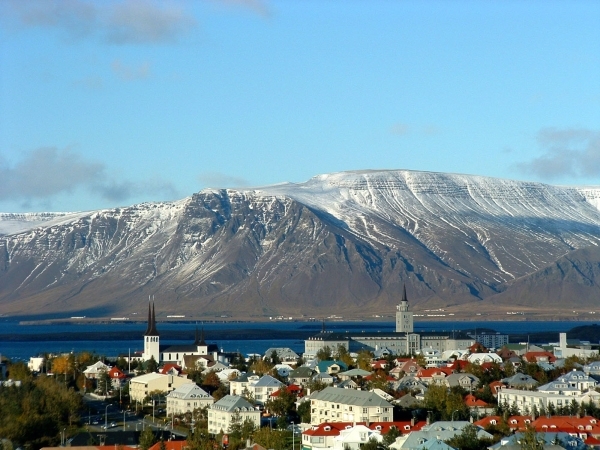 From almost everywhere in Reykjavik you can see a prominent table mountain across the bay. That's Esja (see above). It's a fun day tour, an easy hike up, and you can take public transportation there; or ride a bike. On a sunny day or a sunny night you'll have wonderful views over the city and the ocean (see below)! Mosfellsbaer and Reykjavik from Esja during an August morning. Drive by Myrdalsjökull. 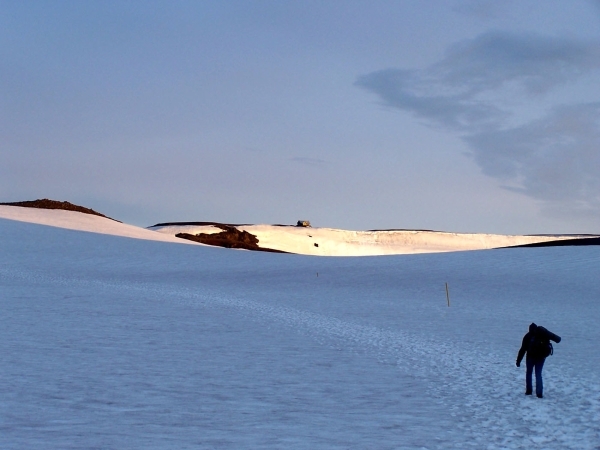 Again, if you have 4x4 you may be able to go to Laki - it's a long drive though! Look for route 218/215 and go to the beach, black sand, wonderful basalt columns, should be able to get there without 4x4. 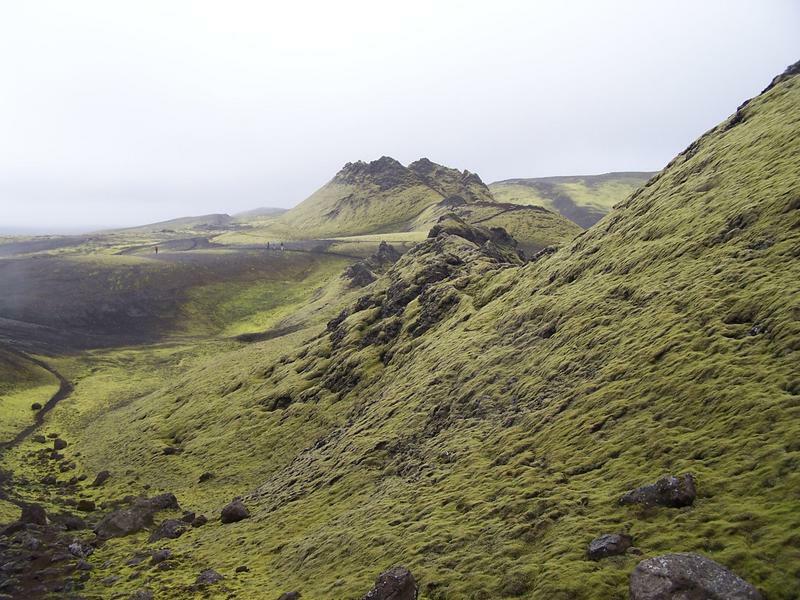 Unless the birds are there, you might be able to make it all the way to Dyrholaey - little island. When in Vik, stop and go to the beach again! It's where they filmed parts of Noah you can see Dyrholaey from there. Look out for the kria - they're quite aggressive birds, bring a boom to waive over your head and amuse the locals! 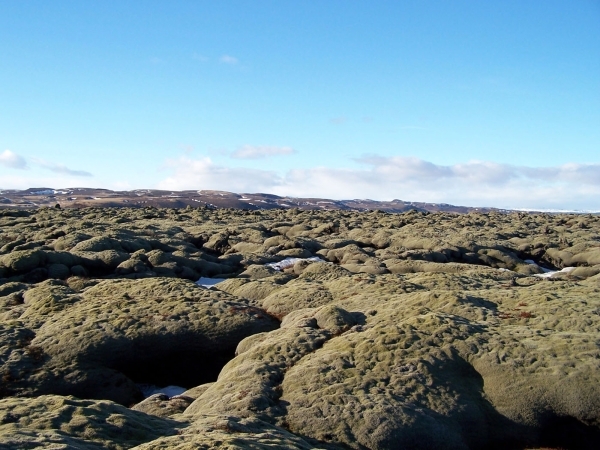 After Vik you're driving through some of the Laki lavas - wonderfully thick moss on them! Moss on the Laki lavas. 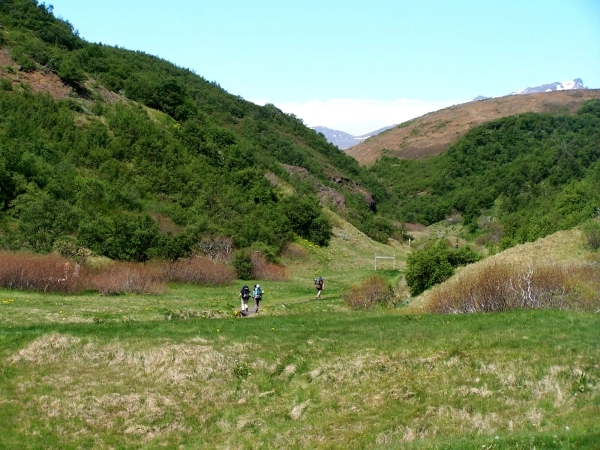 Then keep going to Skaftafell which is now part of Vatnajökull National Park - they have camp sites and lots of cool day hikes (or longer). You may wanna swing by Svinafellsjökull, the first glacier I ever saw - part of the opening of Batman Returns was filmed there. 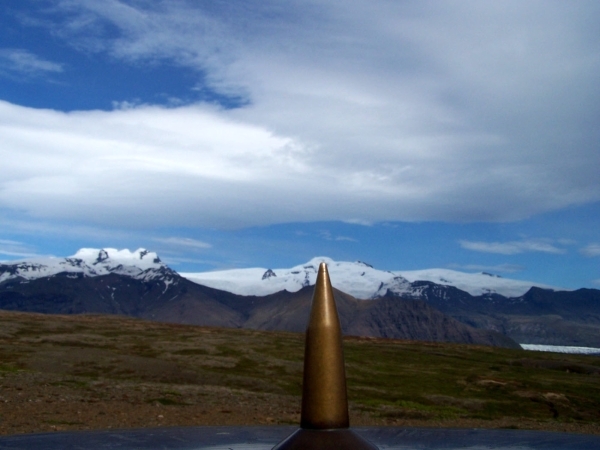 From spots in Skaftafell you can also see Hvannadalshnukur - Iceland's tallest mountain, part of Öraefajökull caldera. 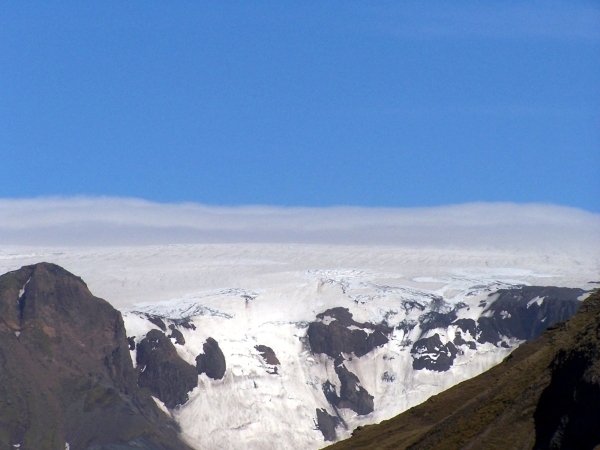 Hvannadalshnukur sticking out of the Vatnajökull ice cap. 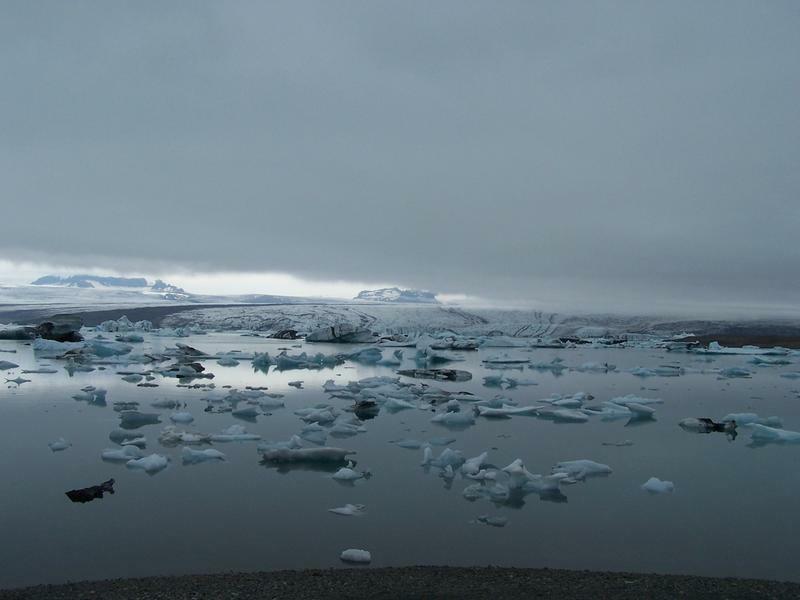 Drive further and you'll make it to Jökulsarlon - the glacier lagoon. Quite cool with glacial melt and sea water mixing, lots of seals, gulls, etc. If you get there when it's frozen this place is pure magic, though right by the road. Lots of tomb raider, james bond etc have been filmed here. Jökulsarlon in winter and summer. Then there's lots of interesting stuff all the way to Myvatn in the north. Try taking this short cut if you can - a phenomenal drive through volcanics! 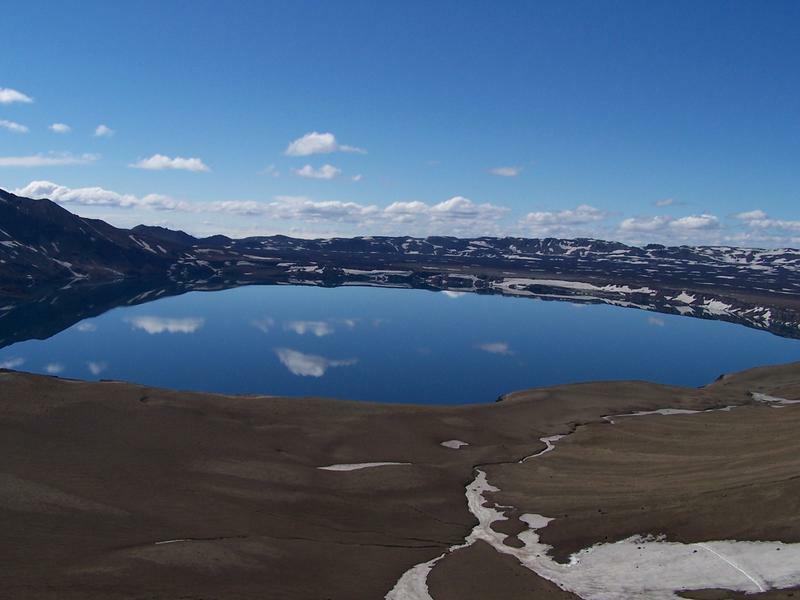 From Myvatn you could go to Askja either by organized tour or with your 4x4 - note that if you have a 4x4 vehicle you should take the highland route back to Reykjavik - it's spectacularly phenomenal! Truly! 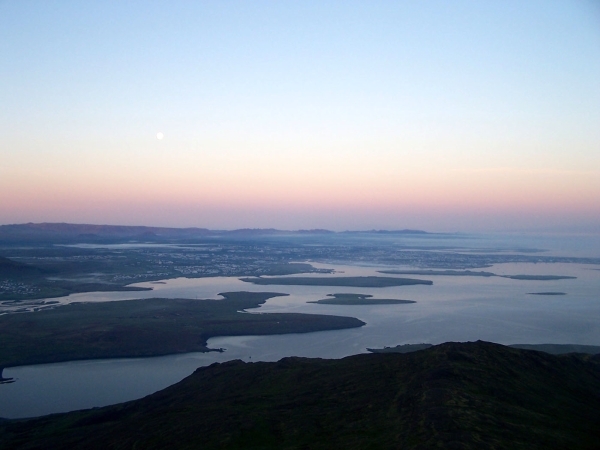 Otherwise you may wanna visit Akureyri and then drive back south on the west side of the island, which is still cool. Askja is one of my favorite places; try to stay and explore. You can probably also visit the latest eruption site: Holuhraun, which is just a bit south of there. But Askja itself is great. I did this hike (through the caldera then to the north) and read Zen and the Art of Motorcycle Maintenance; a great way to spend a few days. The west fjords are worth a visit if you have extra days, but quite similar to fjords in Norway if you've been. Older, less active stuff. Good birding, though. 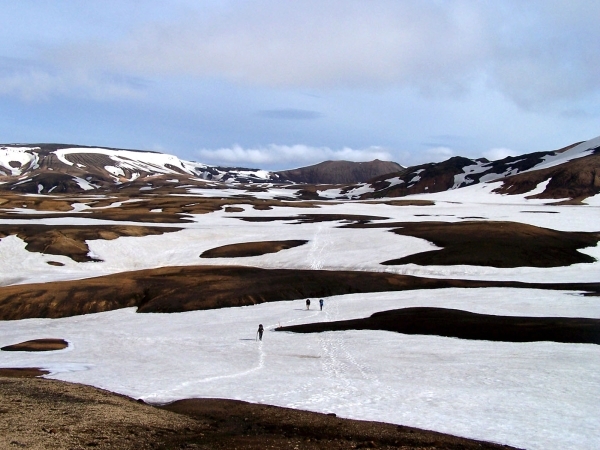 A quite popular hike is Laugavegur; a ~55 km hike with a few managed camp sites along the way. 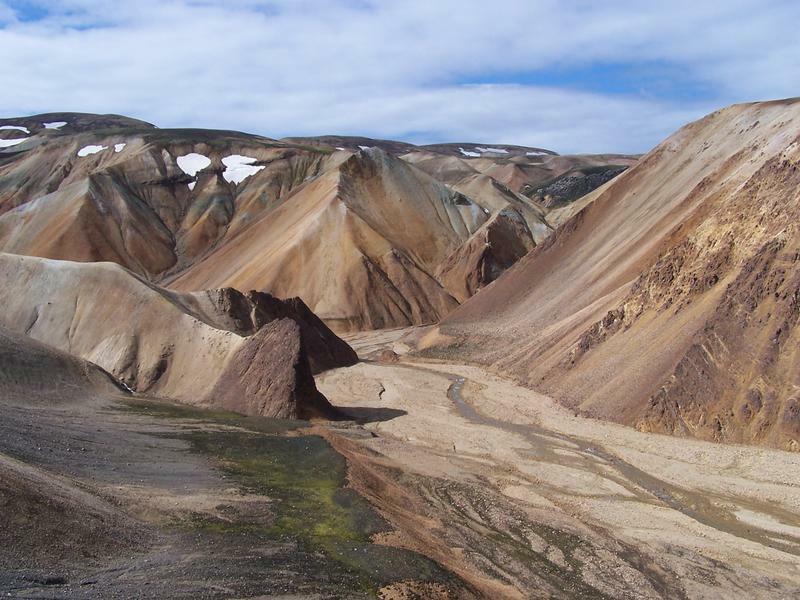 I'd do it from Landmannalaugar to Thorsmork - it's a walk from hell into paradise; quite literally. This is obviously a really popular trek, so try to do it early in the season when nobody's there yet. There are busses that go there from the main bus station in Reykjavik (both to Landmannalaugar and Thorsmork). If you're interested in true magic, extend the hike from Thorsmork all the way to Skogar (I mentioned that place above). It takes you up between Myrdalsjökull and Eyjafjallajökull and then down to Skogarfoss, past ~30 waterfalls. There's a cabin at the top (see picture below), but we passed on it. This adventure was a night hike (yes, the snowy picture was taken ~midnight). There's now a bit of a volcano in the way (2010 Eyjafjallajökull flank eruption), which would make this even better a hike. 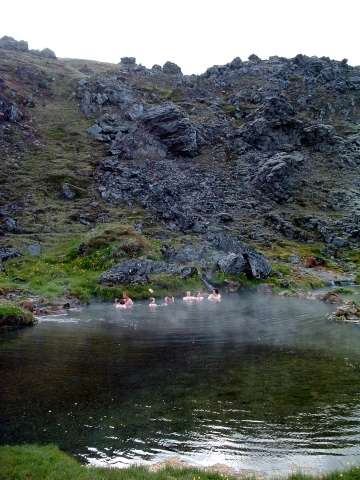 Natural hot springs, between the ice caps, Myrdalsjökull. Some more photos (including the ones above) are here, here, and here. Have a great trip! rg <at> nmt <dot> edu | Created: 2015/08/20 | Last modified: March 12 2019 15:12.